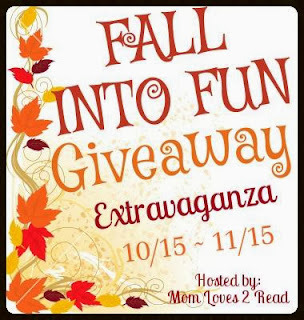 Mom Loves 2 Read has teamed up with a great group of bloggers and friends to bring you this amazing giveaway event to celebrate Fall. With the Holidays being a busy time of fellowship with family and friends, what would be a better prize than some much needed CASH - or a giftcard for those little ones who just never seem to have enough toys and games? Here is your chance to enter for a chance to win either Paypal Cash (open WW - must have a valid paypal account) OR a $50 GiftCard to spend at Toys R Us or Babies R Us! Can you think of what you might spend your prize on? Something for yourself? your kids? or a surprise for someone else? This special giveaway will have not just one but Two amazing Prizes!